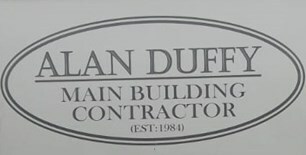 Alan Duffy Building Contractors - Builder based in Accrington, Lancashire. We are a local family business that started in 1984, we are based in Accrington and cover a 25 mile radius. We specialise in building bespoke extensions, residential and business refurbishments, Damp & Timber work etc. e.g installation of damp proof course and re-plastering. Timber treatment of wet/dry rot, installation of stainless steel remedial wall ties. For the trade, drill and inject horizontal damp course and apply a tanking membrane. re-plastering to be carried out by tradesman onsite.